In-Home Streaming has been around for a while, and even the Steam Link name isn't new, but this is just another way to play your games away from your main machine. With summer coming up, that's not that bad of an idea — having a powerful gaming PC in an apartment with no A/C equals a very hot office, so if I can still play my games but be in a cooler room at the same time, I'm down. 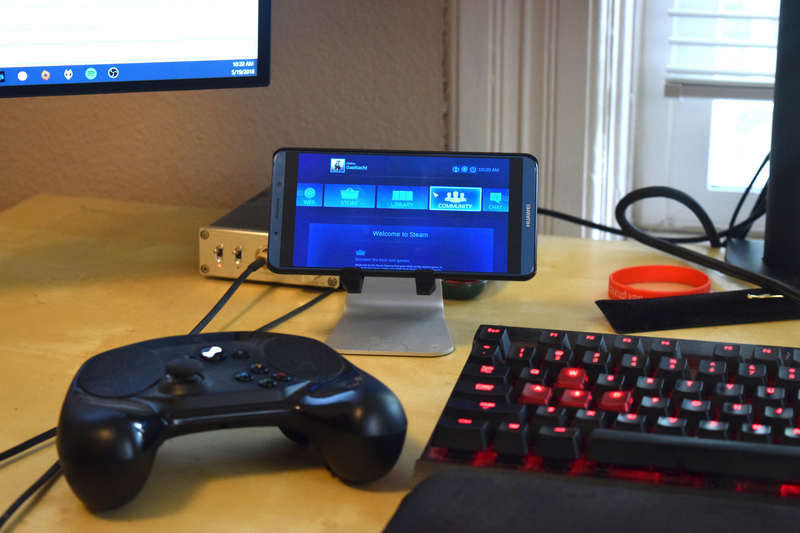 I tested the Steam Link Android app in a variety of configurations with my Steam and Shield Controllers, using both Windows and Linux (Ubuntu) as the host operating systems. If you have a Steam Controller, then you'll need to update the firmware to enable Bluetooth. Activate Big Picture and a prompt should appear; just plug in the controller and let it do its thing. Once it's finished, connect it to your phone or other Android device and open the app. 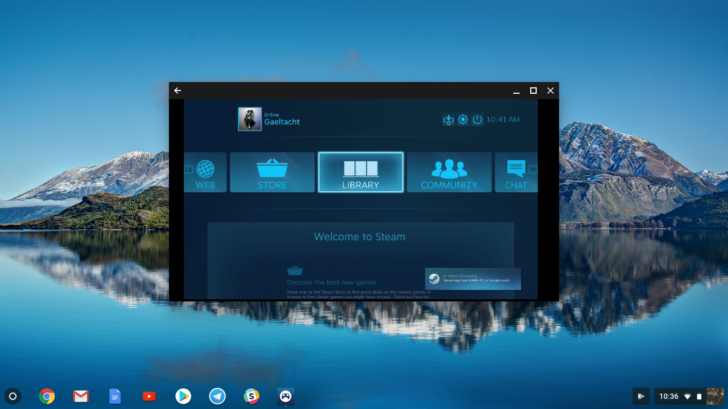 In theory, Steam Link should find your computer, so long as it's on the same network and the Steam program is running — this is true for both Windows and Linux. However, on almost every phone I tried (excluding the Mate 10 Pro), the app couldn't find my PC, so I had to enter my local IP address instead. Once everything is linked up, you're ready to go. For ease of use, I recommend starting the game on your host machine, because Steam Link acts like a remote desktop viewer unless you're in Big Picture (the physical Steam Link could do this, too). If you're familiar with the Steam Controller, then you'll know it's not well-suited to first-person shooters; as a matter of fact, it can be downright awful in some circumstances. I tested Destiny 2, Overwatch, and Doom (2016) and while playable, I was not too thrilled with how it handled them. Granted, I don't play shooters with a controller, but no matter how I tweaked the settings, I had a hard time. So if you're planning to play FPS games primarily, then I'd suggest something different like a Moga Pro or something similar. Since this isn't a review of the Steam Controller, let's move on. Latency overall was surprisingly minimal; I tried playing in different areas of my apartment and didn't notice any difference. But for every game I tested, I started off by sitting at my desk with my Pixel 2 XL on a phone stand under my main monitor. Side-by-side, I couldn't see any input lag or other noticeable signs of latency between the two displays. 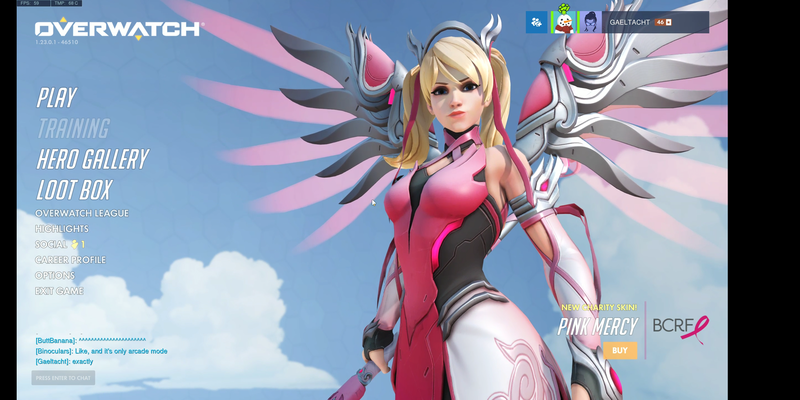 If you're using an 18:9 phone, you'll notice that you'll have black boxes on either side of the game window. It's understandable, but definitely noticeable. Your mileage may vary on what resolution and framerate you can get, but if you're having trouble, try lowering the graphics settings. If your network isn't strong, then you'll struggle a lot here. 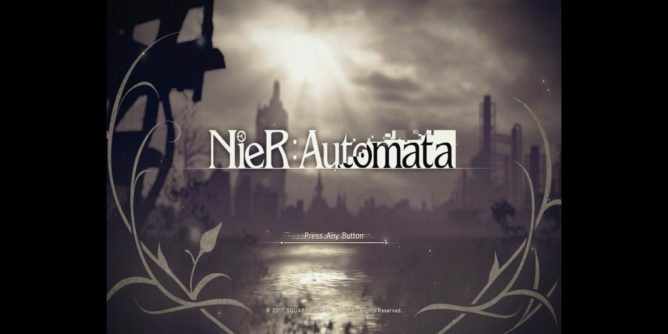 For those of you who don't know, you can add non-Steam games to your library. This is especially good for people like me who play titles that use other platforms like Battle.net or Origin, which is how I was able to try out Overwatch and Destiny 2 with this app. And for the sake of completeness, I also tested connecting to my home network via a VPN. I used my Verizon connection and tried to load up Steam Link, but it didn't go so well. Most of the time, I was left with a black screen that acted like a remote desktop, even if Steam was running in Big Picture on my host PC. It loaded up on a couple of occasions, but the latency was so high that the couple of games I got to try were unplayable. So, unfortunately, this is not a reliable method by which you can stream your Steam library to a client machine outside of your home network. One of the first things many thought of when this was announced was throwing it on an Android TV box and getting the couch gaming experience. For those of you who don't have a Shield TV, this must have been great news indeed. 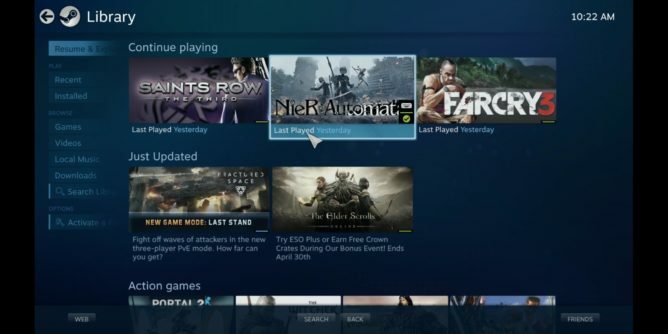 For those of us that do have Nvidia's Android TV box, Steam Link doesn't seem to offer much that we don't already have — if you're a part of the Nvidia GPU family, that is. Currently, Shield TV owners can use GameStream, which streams a game from the host PC to the Shield exactly like Steam Link does. However, there are certain "optimized" titles, some 300 of them last I checked, but that can't even cover the scope of the PC game library. 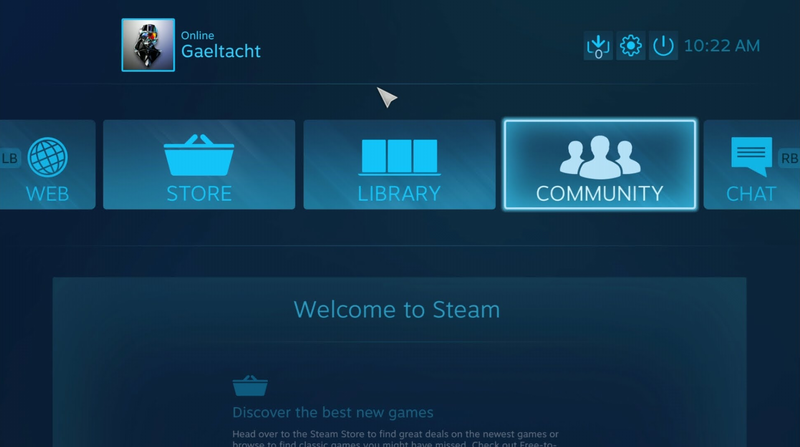 You can set Steam as a GameStream option, which then allows you to play any of your Steam games on your Shield. So, in light of this, Link feels a bit redundant on Nvidia's platform, but I went ahead and gave it a shot anyway. Let's first talk about ease of use. Nvidia requires that you have the GeForce Experience program installed on your Windows PC. This program reads your installed games for "optimized" versions, which you can then see over on your Shield. Select one, let it start up, and get to playing (assuming you have a Shield controller or whatnot). All in all, it's a fantastic experience with options for an onscreen keyboard and streaming/recording. Steam Link works on Windows, Mac, and Linux, and since I spend 99% of my time in Ubuntu, Valve's solution, for me, already starts to win out for streaming to my living room TV. I can still use my Shield Controller, which is fantastic since it's much better for first-person shooters. However, Link does have stability issues and some games don't want to recognize the controller and switch control schemes — for example, Destiny 2 works amazingly on GameStream, but it was a poor experience on Steam Link since the game still thought I was using a keyboard and mouse. As far as latency goes, Link and GameStream appear indistinguishable. I strongly prefer the convenience and user-friendliness of GameStream's UI, but at the same time, I like the flexibility of Steam Link more. If forced to choose, though, I'd probably take Nvidia's solution at this point in time; it doesn't crash or encounter nearly as many problems as Link did. For this scenario, I tested Steam Link with the Acer Chromebook Spin 11 (review coming soon), which is all I have at my disposal currently. Unlike the phone and Shield TV experience, this wasn't pleasant. Linking to my PC was just like I had to do with my phones, but I was either confined to the small Android app container window or a very glitchy large one that ultimately crashed each time I attempted to use it. Since Android apps on Chromebooks are still kind of hit-or-miss, I can't honestly say that I'm too surprised. Valve did point out when I launched Steam Link on the Spin 11 that my device had not been verified to work, so at least there's a warning beforehand. 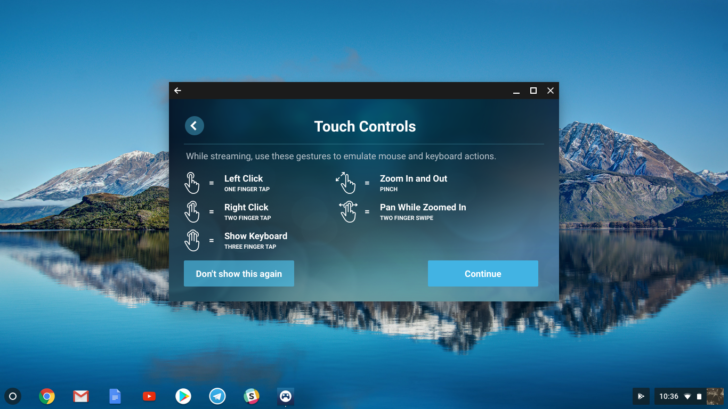 Corbin also tried this out on his Asus Chromebook Flip C302, a much beefier computer, but his results were relatively inconsistent since both his C302 and gaming PC were on a wireless mesh network. Perhaps Valve will see the value in this use case and improve support in the final release. For a beta, I'm extremely impressed. On my phones, I only encountered a couple of crashes and a few embarrassingly bad games of Overwatch. The only major disappointment was Chromebook performance, or lack thereof, but I cannot honestly say that I'm surprised by that. Considering that this is a free service and only requires that you purchase a controller to connect to your phone (if you don't already have one), Steam Link is a winner in my book. It doesn't matter whether you have an AMD or Nvidia GPU, as long as you have the raw horsepower and network strength, you're golden. Even being able to stream my Linux games to my Shield TV is amazing since I'm rarely ever in Windows these days. 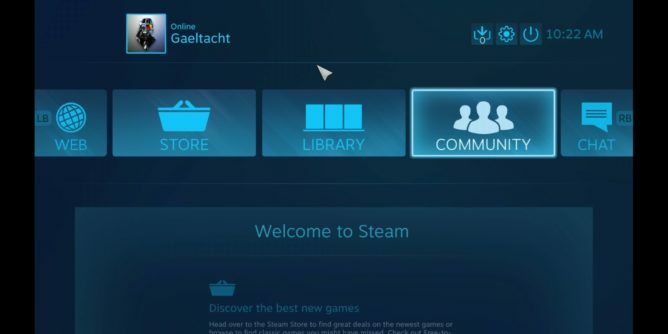 I'd like to see Valve improve the PC discovery, since it's highly recommended that the host be on a wired connection — I don't mind having to input my local IP address in the app, but it's still somewhat inconvenient when it supposedly searches for machines running Steam on the network. I also had trouble with updating the firmware on my Steam Controller to allow for Bluetooth pairing, since the prompt never showed up and I had to go into the settings to find the option to manually update, but that's more of a desktop client issue than a mobile app one. Ideally, though, I think taking advantage of the Chromebook possibilities would be hugely beneficial. And as much as I'd like to see this work outside of my home network, I understand the severe limitations in place. While services like GeForce Now are great, they have the backing of massive servers and bandwidth; it's safe to say that all but a very select few consumers have that kind of resources available to them, thus why the concept of GeForce Now and others like it is so appealing. But if any one company out there could make it work, it's Valve. If you already have the setup for Steam Link, then I definitely recommend trying this out.